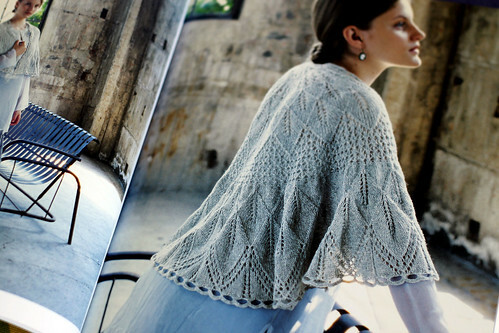 When I get a chance to knit again I want to make this shawl. It is Hitomi Shida’s pattern from “Let’s knit series #12”, ISBN978-4-529-04451-6. I have 5 books by this designer. So many pretty patterns. I like how she combines knitting and crochet. This time the bottom border is crochet. This entry was posted on Thursday, August 6th, 2009 at 3:00 am and is filed under Knitting. Tagged: Knitting. You can feed this entry. You can leave a response, or trackback from your own site.